The class is a 3 week course, for 3 hours a week. The instructor teaches you 3 different font types. 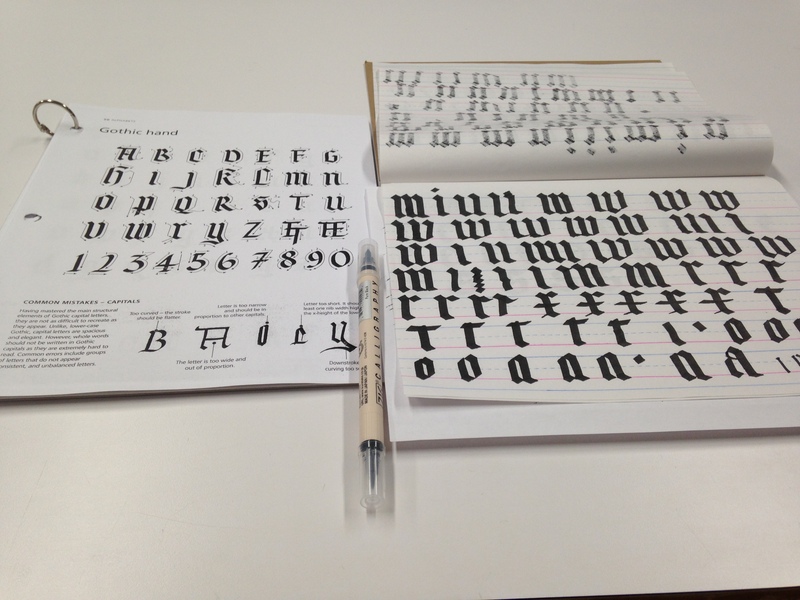 We started with gothic script… much harder than I expected and it was hard to keep your hand straight! 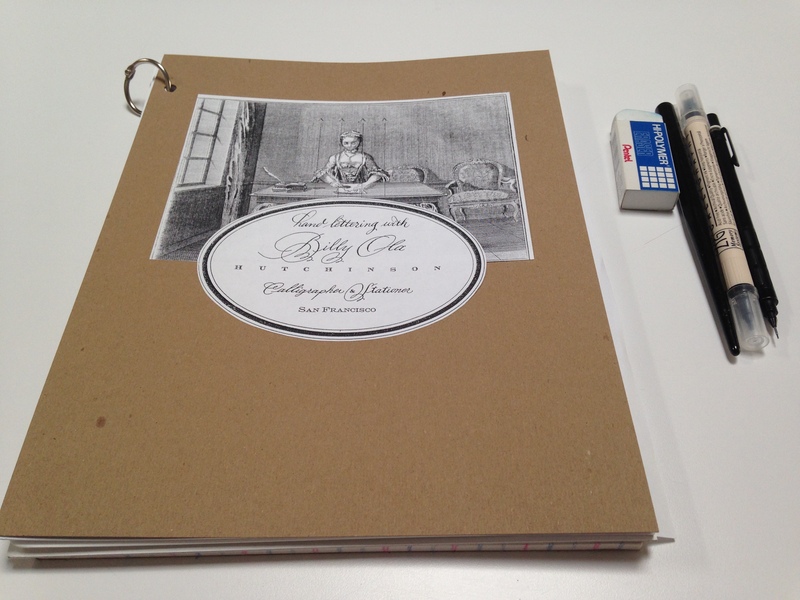 Overall it was great fun, I can not wait till we get to the Copperplate Script… my favorite!! Stay tuned to see how I do!